The designer of the suit: Yves Saint Laurent. 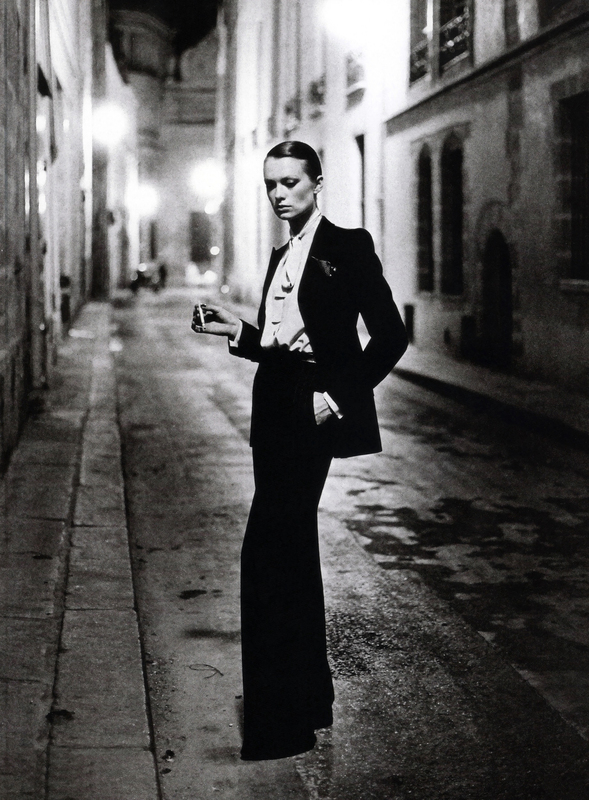 The man behind the camera: Helmut Newton. The shot dates back to 1975, but it will never get old. It is hardly possible to find something more classic (and classier) than this. Oh yes, this one is definitely a great image. Just look at her pose, so in control! When i look at editorials/photo shoots now these days, this one definitely rocks. You are absolutely right about the pose. I think that a lot of pictures are just plain boring because they are pretty much the same. Just think about all the (Vogue) editorials: do models always have to jump? That actually makes me think about a great topic for another post.